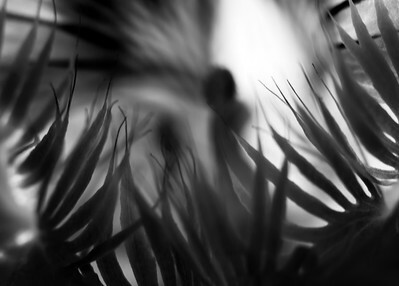 Close-up of the interior of a flower with beckoning petals in black and white. 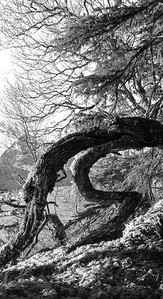 Bent tree by the sea in Southeast Alaska on a sunny day. 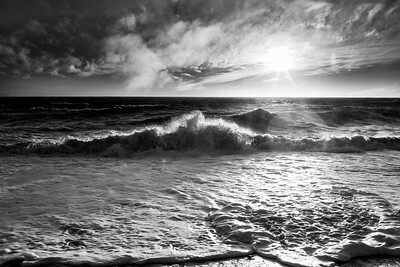 Ocean waves with a sunburst and lens flare on a windy day in black and white. 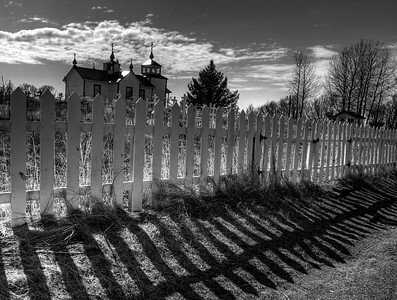 Dramatic fence shadows with the Russian orthodox church in Nikiski Alaska in black and white. 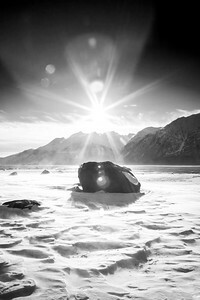 Wind blown snow swirling around a rock on an Alaskan beach.